If you're like me, you've probably thought about how easy it would be to play a MOBA with one of those fancy MMO mice with tons of buttons, freeing up a hand to do all kinds of fun activities. 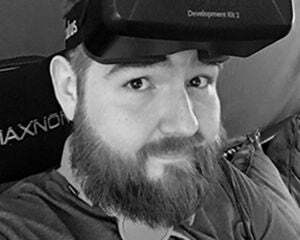 Well now you can with the SteelSeries Rival 500. It was designed with that very task in mind, having 15 buttons on-board. Whether or not you enjoy it will come down to preference and if you can accept the drastic change. One might think the Rival 500 is the cheaper version of the Rival 700, but you'd be wrong. While the two mice share the same configurable RGB lights, similar aesthetics, and tactile feedback on your palm (for Dota 2, Counter-Strike: GO, and a modified version of Minecraft only), they are pretty different. The 500 is a very wide mouse (probably to accommodate all the buttons) that felt a smidgen too big even for my giant hands, so using it for more than playing MOBAs felt a bit uncomfortable at first. Eventually, I did get used to it. As for the 15 configurable buttons? 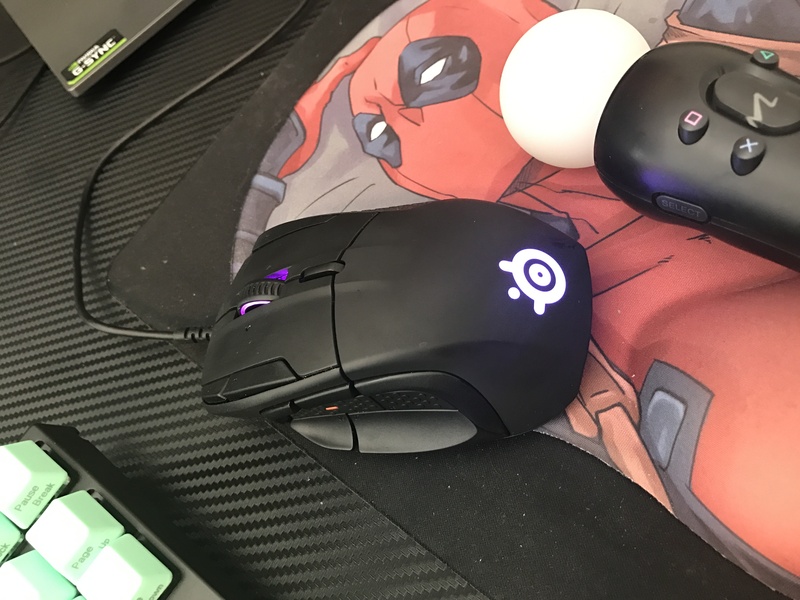 They work but I had a hard time adjusting to playing Battlerite and League of Legends (ugh, this mouse got me to reinstall that toxic cesspool) just due to muscle memory. The button placement can be slightly intimidating as well, considering six of them alone surround your right thumb, with three above, one behind, and two below. The two lower buttons were probably my favorite part of the mouse. They curve out, and it felt nice to naturally rest my thumb on them while being able to quickly press them as needed. Some I just never felt comfortable using, like the buttons that sat behind my thumb and the ones off to the side of the left and right clicks. The buttons by the clicks felt especially out of reach due to the sheer wideness of the mouse. 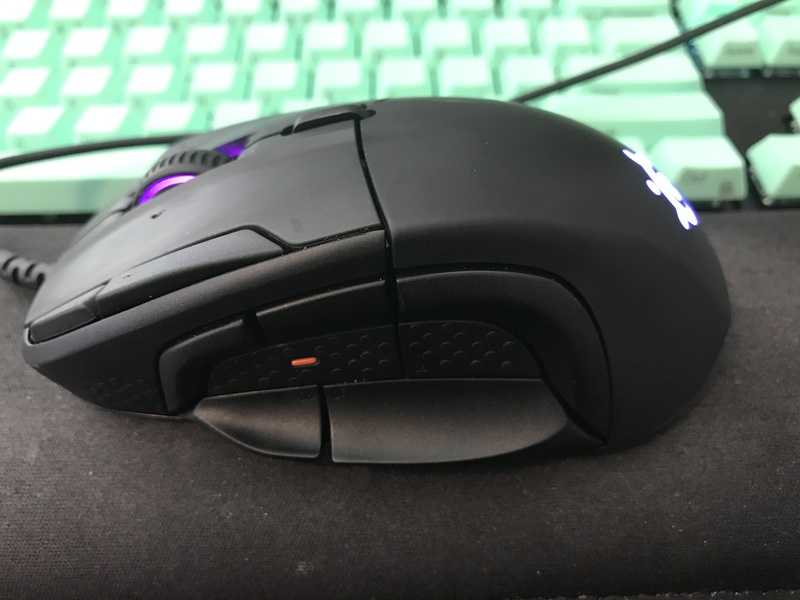 The Rival 500 feels more like something you'd use to alleviate action from your left hand instead of outright replacing it, and that is what I found myself mostly doing while playing MOBAs with it by mapping a few lesser-used keys that are typically harder to reach while playing normally. It's certainly not a bad mouse, but it is a bit too large with some awkward button placement for my liking. 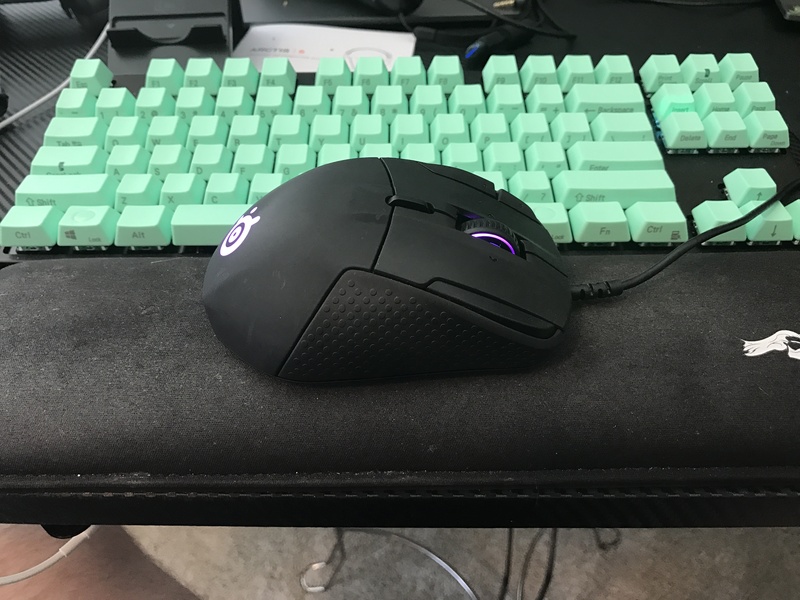 I've since gone back to the SteelSeries Rival 700, which has been my daily driver since I originally reviewed it.